Our history is full of amazing stories. The artistic nature of historical fiction presents several challenges, especially in books for children. Events must be winnowed in order to create forward movement that leads to a resolution. 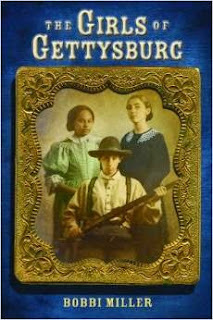 Historical fiction makes the facts matter to the reader. Through the years, I’ve discovered several resources that have proven valuable not only for research, but also about teaching history to young readers. Speaking of amazing resources, don't forget to enter (here) our new drawing for a chance to win a copy of the Children's Writer's and Illustrator's Market 2017! What do you think? Do you have any favorite resources? Thank you for sharing these amazing resources, Bobbi! And for the giveaway. Great resource, Bobbi! I remember thinking the Library of Congress had a lot of good available articles and photographs back when I was doing some research. Thanks, Bobbie. I aLao use most of these. Amazing resources. Thank you, Marcia and Carla! I agree, Marcia, about the Library of Congress. It is an AMAZING resource!Thank you!